*2017 FESTIVAL STAFF. Photo by Andy Wong. Henry is no stranger to the local festival circuit. Besides being the Founder of Toronto Youth Shorts in 2009, he has also worked with Reel Asian, Canadian Film Fest, and Planet in Focus. Henry produced the Rockie Awards, an international program competition for the Banff World Media Festival, for four years. Outside of his festival work, he has provided event coordination and support to the Canadian Film Centre and the Scarborough Walk of Fame and regularly takes part in community and youth-based initiatives in the arts. Henry is the recipient of a 2016 Legacy Award as well as a 2010 Chinese Canadian Youth Achievement Award for his contributions to the Toronto arts community. Fernanda is a Toronto Youth Shorts freshman. She comes all the way from Brazil, where she graduated in Film and TV Studies and worked for the Brazil's Kids Film Festival. She aspires to be a video editor or a spreadsheet maker; whichever destiny chooses. Fernanda wishes life were more like a mash-up of a Katharine Hepburn screwball and a Broadway musical. Her favorite movie is Sunset Blvd. or Madame De or The Red Shoes or... well, some old movie. Kelly is a community arts facilitator who is constantly interested in the ways digital media can be a site and tool for social change. She is a graduate from the Masters of Environmental Studies program at York University with a focus on critical food pedagogy, film, and critical theory. Kelly is a lover of film though she doesn't nearly watch enough content. She is a fan of horror, the Lord of the Rings trilogy (extended edition), and transmedia films. Vincent Martino is an independent filmmaker and a recent graduate of York University’s Film Program. Born and raised in Toronto, Vincent started making films on VHS with his friends when he was just a kid. In 2009 he started the production company Renegade Bros. Productions with his longtime friend, and they have since created dozens of short films. Lynn Mate is a fourth year student in Physics and Cinema Studies at the University of Toronto. An active part of the Toronto film community, she has volunteered with the Canadian Film Fest, Academy of Canadian Cinema and Televison, and Hot Docs. She loves both documentary and narrative film genres, and aspires to write and direct her own films. As a former dancer and business student, Jin loves working in the intersection between arts and business. She is also the founder of the Western University Smartphone Film Festival and has participated in film festivals across US/ Canada. Jin is excited to be joining Toronto Youth Shorts for its 11th season. 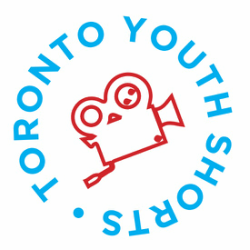 Lourdes is super excited to be joining the Toronto Youth Shorts festival in their 11th year. Lourdes has worked on numerous events for the the non-profit sector and is excited to be joining the film festival circuit. She is glad to be working at the intersections of youth engagement and art. Lourdes is a huge Trekkie and sci-fi fan, and even has an Enterprise tattoo! Grace Cobbold is a Grade 12 student at Branksome Hall. During an advanced two-year film course at her high school, she loved leaning about and production films with her peers. In her spare time, she teaches kids coding and robotics and enjoys playing basketball. Grace is both excited and grateful for this opportunity to be a member of the Junior Programmer Team where she will be exposed to fascinating films and unique stories. Catherine is a 12th grade high school student who lives in Toronto, Ontario. She is passionate about film and literature. Her favourite films are Heathers and The Witch. In her spare time, she enjoys reading and playing video games. This is her first year as a junior programmer, and she hopes to make a meaningful contribution. Rod is a grade 11 student currently attending York Mills Collegiate Institute. He is very passionate about film making and the entertainment industry. In his spare time he enjoys playing soccer, watching movies, and learning more about cameras. He is very excited to be a part of the junior programmer team, as it will allow him to learn more about film programming and be exposed to a wide variety of films and content. Rose is a grade 11 student attending Stephen Lewis Secondary School who is passionate about filmmaking and enjoys creating fun videos with her friends. In her spare time, she plays guitar and ukulele while learning to play other instruments. She looks forward to being a part of the Junior Programmer team and hopes to gain a better understanding of film programming. Vivian is a tenth-grade student currently attending Hudson College. She enjoys watching films as well as making them. She is anticipated to learn more about the film industry by being a Junior Programmer. In her spare time, she enjoys reading and writing. Darina is a high school student in Toronto and is studying film. She possesses a variety of useless skills such as reciting the phonetic alphabet, unintentionally imitating accents, and identifying fake dinosaurs in films. In her spare time, she watches old spy movies and performs magic tricks for her cat. Darina is excited to be part of the Junior Programming team and develop further film analysis skills.